The more varied trading binary options feature not only allows traders to choose the direction of price movements and the corresponding expiry time. After being equipped with choices on instruments and types of trading, the binary options broker platform now also has several facilities that can be utilized both to limit losses and increase profits. In this case, binary options traders are not only provided by trading analysis but also special features that can support trading results more leverage. Previously, trading binary options were often referred to as an easy and simple trading method because traders only need to determine whether the price will go up or down in a certain period of time. Along with the increasing number of interested binary options, brokers and platform providers strive to provide the best trading services that are not only intended as an alternative way of trading, but also as a tool that makes trading binary options easier. Various types of trading options other than "call" and "put" such as touch / no touch and boundary options have been given to make it easier for traders to determine their options. In addition, the widespread trading instruments ranging from forex pairs to commodities also make binary options a suitable trading place for all traders. Not only that, binary options trading platforms are now starting to be equipped with other features such as rollover, early closure, and sell back. Some of these services (early closure and sell back) can be used as stop loss and take profit, two trading features that are very useful on the forex spot and have never been in binary options. Although offered with certain commissions, these facilities are still fairly useful to limit the possibility of loss or take advantage of option positions that have the potential to fail. In addition to the features above, there are also additional trading services that can double profit opportunities, namely Double Up binary options. Basically, Double Up functions to open the second option with the same specifications as the first option. Both in terms of trading type, option direction, expiry time, to total capital, Double Up automatically adds the second option with the same settings as the previous option. It's just that the strike price that applies is not the same as the first option. So if you place a EUR / USD "call" option with a strike price at 1.2800, the second "call" option will certainly have a strike price higher than the previous price level. You put the "put" option for USD / JPY at the 119.20 strike price. When expiry time is 5 minutes, the movement of the pair drops significantly, and has been at the level of 118.95. So far, the results of your analysis are still valid enough to believe that USD / JPY will continue to weaken. You then use the Double Up feature that activates execution for additional options with the option type and expiry time is the same as your first "put" option. The difference is only at the strike price because the second "put" option starts at 118.95. That means the price needs to move down again so that your profits can increase. When 5 minutes later expiry time runs out and finishes both of your options, USD / JPY turns out to be at a level lower than the strike price. If the capital you place is $ 100, and the percentage of profit offered is 80%, then the amount of payout you earn is $ 360. If you don't use Double Up, your profit will only be limited to $ 180. This is of course very unfortunate especially if the results of your analysis really believe that prices will continue to weaken and bring your options to an end at a promising level. Double Up is a service that is still relatively new in the binary options trading platform. Even so, many have been interested in using it so that the potential payout obtained can increase. This feature is different from the use of the anti-martingale strategy, because the amount of capital you place in the second option is equal to the amount in the first option. Besides that, the second position will also end at the same time as the first option. Some of the characteristics above can be both advantages and disadvantages of using Double Up. Placement of the second option with the same capital can indeed double the profit opportunity, but it also has the potential to multiply losses if both options end out-of-the-money. In addition, the determination of expiry time that ends at the same time can automatically ensure that both options end in-the-money, but if prices suddenly move beyond expectations, both automatically placed options will also fail. 1. The most suitable market condition for the use of double ups is when prices are trending. Because the second option is definitely placed with the same option direction, then you need to make sure that the price will still be on the same trend so that your Double Up option can bring multiple profits, rather than increasing losses. 2. Take advantage of trend trading strategies that are equipped with technical analysis and supported by fundamental factors. The more valid your analysis results, the greater the potential success of using Double Up. Conversely, the more you doubt your analysis, the more vulnerable the option position is to failure. 3. The Double Up feature can only be used when your first option position is in-the-money. For example, your "call" option is at an unfavorable level because the price drops to a position lower than the strike price. In this situation, you cannot use the Double Up service and have to wait when the price rises to a level higher than the strike price. Of course, the use of Double Up must also be accompanied by the belief that prices will still move up when expiry time arrives. This requirement can limit your desire to place additional options as a "revenge event" which is intended to cover losses if the option fails. In out-of-the-money conditions, trading emotions tend to be more volatile and easily provoked to place additional options so that losses can be covered. This method is considered high risk because in such situations the focus is more emphasized on the amount of profit and not on the analysis and potential losses. With the use of Double Up which is only active when the option is in an in-the-money position, you will be more careful about the risks that may occur because less convincing analysis can increase the potential loss rate. 4. Be sure to activate the Double Up feature at the time as close as possible to expiry time. Opportunities for the success of options will certainly be more convincing when prices are still in a favorable position when expiry time will run out. In this case, the most commonly used timeframe is 5-10 minutes before expiry time arrives. 5. Some brokers apply commissions for using this feature. If your broker has similar conditions, it would be better if you take into account the risk of charging these fees. Not only reduce the payout you get, this kind of rule can also add to your losses if you find that the two options you place end up out of the money. 6. Each broker has different policies, most of which depend on the type of platform used. Brokers using SpotOption platforms like TradeRush and Banc De Binary generally charge up to $ 30 for Double Up usage. On the other hand, brokers with other trading platforms or who have their own platform settings can free their clients from the commission rules for this Double Up. Therefore, when studying the trading conditions offered by a binary options broker, it is important for you to pay close attention to every detail of the provisions included in each service. The Double Up feature is a feature not offered in all binary options brokers. Therefore, it would be a pity if you do not use this facility if your broker platform is accompanied by Double Up services. This feature can obviously increase the possibility for you to get multiple returns. It's just that you have to be absolutely sure if the option will end in-the-money. A little mistake can make your loss increase if your option fails. For that, always apply the principle "anything can happen in the world of trading" so that you always consider the risk of loss from each of your actions. Price movements that can turn around suddenly are indeed not impossible because the market cannot be accurately predicted. It would be better if you also use the rules of risk management so that the losses that appear later will not exceed the loss target of the trading plan that you set. 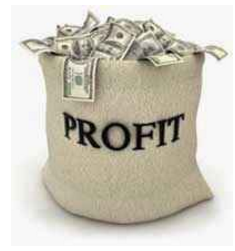 This method will be effective for maintaining your trading account in binary options.